The firm strives to remain at the forefront of new and ever-changing technology and is currently utilizing BIM (Building Information Modeling). The state of the art Revit program allows for better design integration throughout the project development phases from conceptual design through construction administration and is capable of transforming or integrating data into the building management systems at the project completion for better building performance analysis and control. The virtual building model provides real-time analytic statistics and project outcome simulations to assist the architect and project owner in their decision making. It offers significant benefits for a construction project and the project owner by faster delivery, high quality, cost certainty, lower risk, green performance and more efficient operation. Since the formation of Lee & Sakahara Architects in 1979, Leesak has practiced sustainable design. Leesak’s founder and CEO, Mr. Douglas Lee, was interested in the concept of environmentally conscious design long before sustainable design had a name or became a socially pervasive practice. Mr. Lee was heavily influenced by the years he spent working with Paolo Soleri at Arcosanti who coined the term Arcology – a combination of words Architecture /and Ecology. At Leesak, we have always believed that good design had to be sensitive to the environment in which the building was placed. Today, with the popularity of “sustainable design” and the LEED rating system, more clients are asking for buildings that are energy efficient, as well as being functional and attractive. 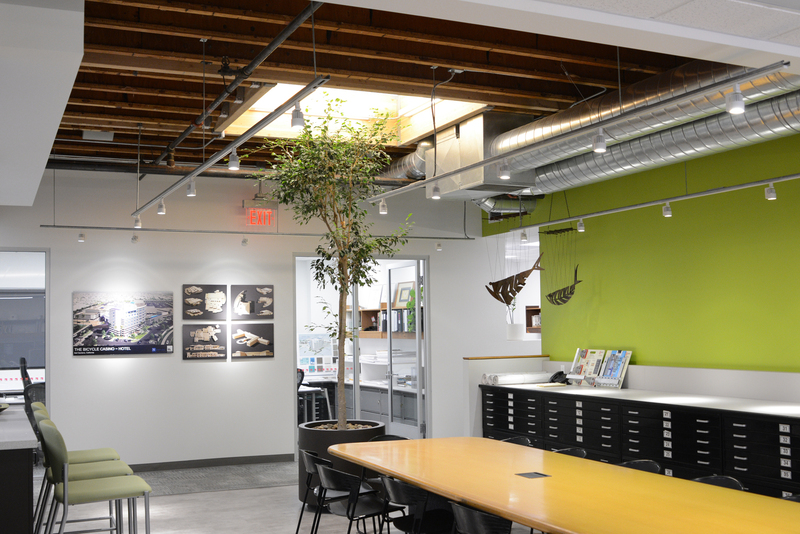 With one third of Lee & Sakahara’s professional staff LEED® Accredited Professionals and a full-time LEED facilitator on staff, Leesak is able to offer expertise in sustainable design practices, LEED project registration and LEED documentation services. Our design and production team are dedicated to sustainable design strategies and offering solutions to create efficient, healthy, and productive environments. The F-35 AGE Maintenance Facilty at Nellis Air Force Base was able to achieve LEED Gold. To date, Leesak has designed 12 additional projects that achieved LEED Silver. Lee & Sakahara Architects is a proud member of the Untied States Green Building Council at the national and local level. © 2019 Lee & Sakahara Architects, Inc. All rights Reserved. Website by SoftMirage.